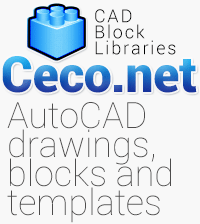 Tags for this category : cad, autocad, block, drawing, blocks, drawings, files, dwg, dxf, signal, symbols, signs, icons, graphics, blueprints, designs, diagrams, sketch, maps, layouts, mark, points, stamp, design, figures, pattern, representation, scales, pins. CAD drawings of symbols signs and signals drawn with AutoCAD, blocks of scales, north arrows, graphics, pin on the maps, for blueprints, plans, design, diagram, drawing, sketch, map, layouts, representations. The files are in dwg and dxf format and can be download for free.